Go into Documents > Electronic Arts and move the Sims 4 folder out onto your Desktop. Follow the instructions in this post to carry out a 'super' repair. Drastic step - Completely uninstall Origin and the game then download and reinstall Origin, then the game. Make sure to back up your Sims 4 user data folder before doing this so you don't lose your Saves. If you are experiencing this issue and none of the above resolve it, PLEASE take the time to post the specifications of your Mac. Instructions on what's needed and how to find the information here - http://answers.ea.com/t5/The-Sims-Mac/READ-FIRST-Sims-4-Mac-Help-Guides-and-Troubleshooting/m-p/4612... Just stating that you are also suffering from the issue really isn't helping anyone, we need to collect information so hopefully a fix or workaround may be found. What software, if any, you have installed/updated between it working properly and then not working (if you have automatic updates turned on for the App Store please check when they last updated). Did you update your version of macOS before encountering the error? Did the error appear after updating Origin or the game? Which pointing device (mouse/trackpad/3rd party device) are you using? Which add on packs do you have installed? Does your monitor have a touchscreen? Is Origin In-Game enabled or disabled? Please attach the following file to your post - Documents\Electronic Arts\The Sims 4\Options.ini You can do this by right clicking on the file and selecting Copy. Right click on your Desktop and select Paste. Now right click on the copied file and select rename. Make sure to highlight the entire file name Options.ini, not just the Options bit. Change the whole filename to Options.txt. When the warning window pops up select Use .txt. You can then attach the .txt file to your post on here. 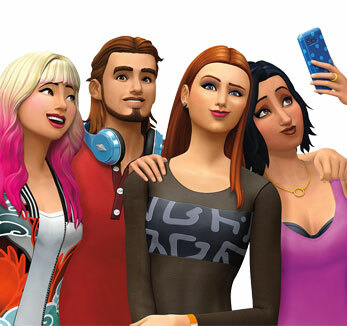 Please try the following to resolve the issue, in this order and testing the game after each step: Enable laptop mode in the in-game graphics options Go into Documents > Electronic Arts and move the Sims 4 folder out onto your Desktop. Right click on the game in your Origin Games Library and select Repair Game. Follow the instructions in this post to carry out a 'super' repair. Set up a new user account on your Mac and start a new game in that account Drastic step - Completely uninstall Origin and the game then download and reinstall Origin, then the game. Make sure to back up your Sims 4 user data folder before doing this so you don't lose your Saves. If you are experiencing this issue and none of the above resolve it, PLEASE take the time to post the specifications of your Mac. Instructions on what's needed and how to find the information here - http://answers.ea.com/t5/The-Sims-Mac/READ-FIRST-Sims-4-Mac-Help-Guides-and-Troubleshooting/m-p/4612396/highlight/true#M162 Just stating that you are also suffering from the issue really isn't helping anyone, we need to collect information so hopefully a fix or workaround may be found. Please also include the following information with your post: What software, if any, you have installed/updated between it working properly and then not working (if you have automatic updates turned on for the App Store please check when they last updated). Did you update your version of macOS before encountering the error? Did the error appear after updating Origin or the game? Which pointing device (mouse/trackpad/3rd party device) are you using? Which add on packs do you have installed? Does your monitor have a touchscreen? What resolution is your monitor? Are there any other programs running while the game is running? (Other than Origin) Is Origin In-Game enabled or disabled? Please attach the following file to your post - Documents\Electronic Arts\The Sims 4\Options.ini You can do this by right clicking on the file and selecting Copy. Right click on your Desktop and select Paste. Now right click on the copied file and select rename. Make sure to highlight the entire file name Options.ini, not just the Options bit. Change the whole filename to Options.txt. When the warning window pops up select Use .txt. You can then attach the .txt file to your post on here. Uses CC, issue still happening when CC is removed. We are trying to figure out if this is a bug or and technical issue. Please keep posting the specs for your Macs and if you can include screenshots of how this issue looks to you, it could help as well. Please make sure that you have taken out all of the mods/custom content and have tried repairing the game. I've tried with a repair and a new sims 4 folder in my documents. New game, new random sim, no mods, no CC, and still having the issue. The only way to rotate the sim is with the arrows next to the feet or with "," and "." in the keyboard. In the image you can see the cursor outside the sim but still affecting the legs. Hello! Hi have the exact same issue as 13Vader! I removed all mods and cc, reinstall sims 4, removed sims 4 folder. Still selecting randomly. Sure, the sims 4 is a little demanding for my computer, and it gets a little hot at times, but it has always worked smoothly, until this issue took place, sure it's a very small issue but when you pay for all the packs in the game and spend all your money, you want the game to run smoothly. Can you please post your full specs. as requested, including the specific Intel graphics you have and what pointing device you are using. And do you have every single Game/Stuff/Expansion pack released so far, including Bowling? Do you have laptop mode enabled? I've tried twice. I've created and .avi from a .mov and tried to upload it just like I've done before with the screenshot, but it doesn't seem to work. So... How do I upload it? Can you upload it to YouTube then link to it?